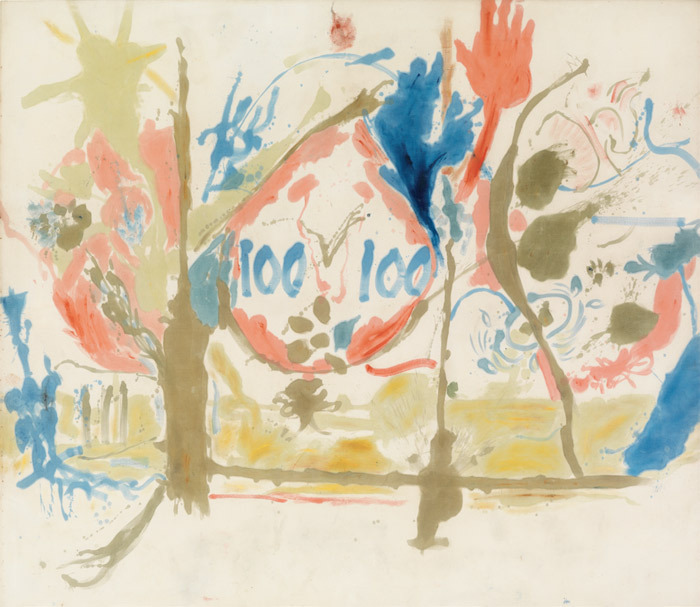 Helen Frankenthaler, Eden, 1956, oil on canvas, 103 x 117". 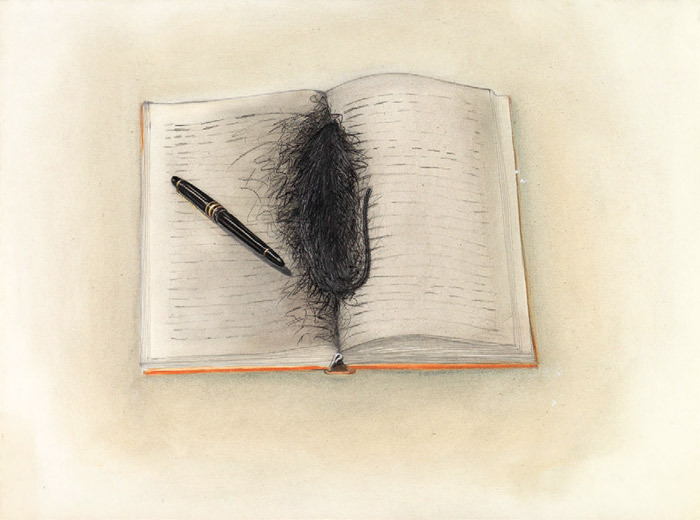 In the days following Helen Frankenthaler’s death, on December 27, 2011, my Facebook feed teemed with JPEG memorials, makeshift tributes to a painter many had forgotten. The image I remember best was a photograph of the artist in her studio, taken by Douglas Banks for Life magazine in 1956; it shows Frankenthaler sitting on top of, and surrounded by, her canvases of the previous half decade, including the breakthrough Mountains and Sea, 1952, as if ensconced in a sort of aqueous dream-cubicle. View of “Richard Serra,” 2013. 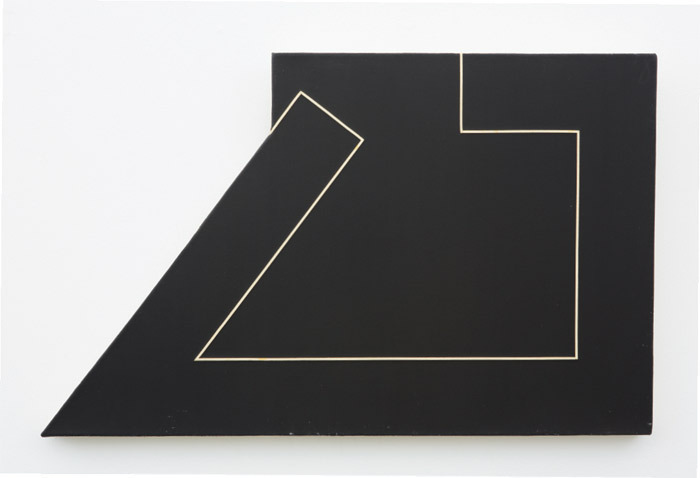 From left: Equal (Corner Prop Piece), 1969–70; 5:30, 1969; V+5: To Michael Heizer, 1969; One Ton Prop (House of Cards), 1969. Ted Stamm, 78SW-9, 1978, oil on canvas, 32 x 20". 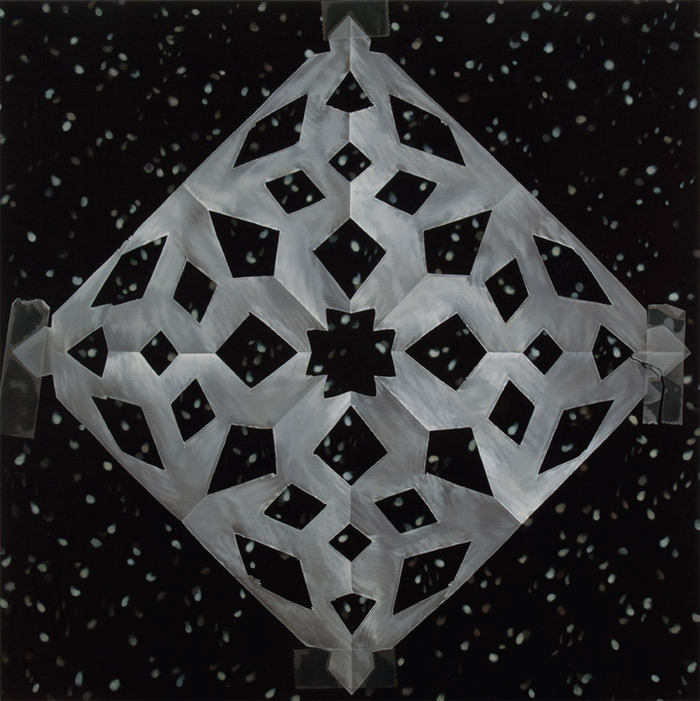 Catherine Murphy, Snowflakes, 2011, oil on canvas, 52 x 52". Justin Matherly, Handbook of inner culture for external barbarians (we nah beg no friend), 2013, concrete, ambulatory equipment, 10' 1“ x 24' 7” x 3' 9". The centerpiece of Justin Matherly’s exhibition “All industrious people” was a twenty-five-foot-long concrete sculpture modeled after several ancient stelae discovered in Turkey. Archival photographs of the rock-strewn site, thought to be the tomb of the Hellenistic king Antiochus I, appeared in large monoprints that lined the surrounding walls. 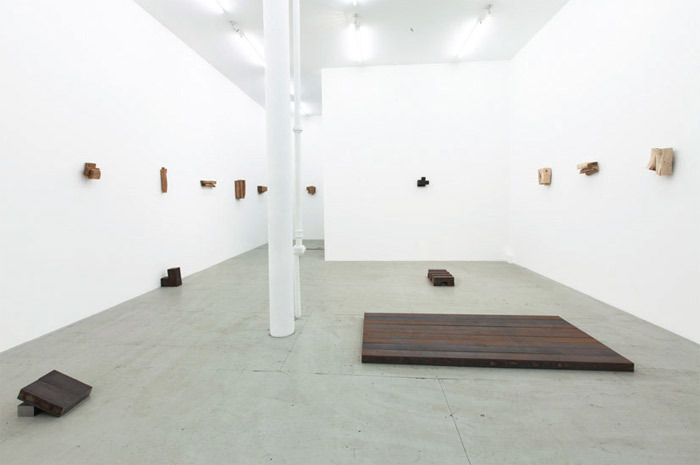 It’s hardly surprising to find Matherly directly referencing archaeological digs, since for several years he has been excavating a singular ruin: sculpture itself. 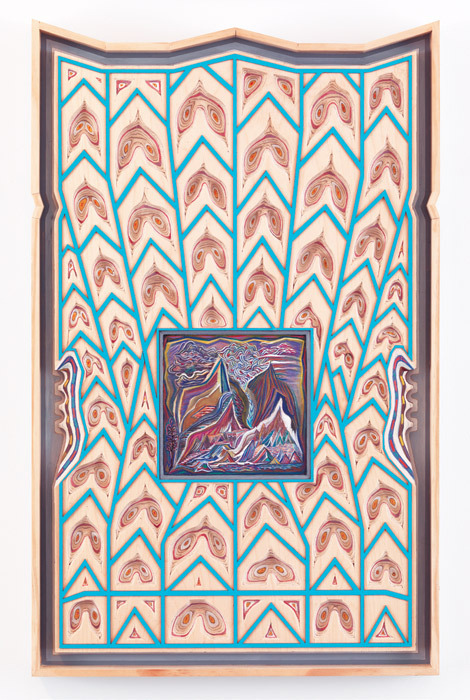 Zach Harris, Hand Held the Shining Chroma Zones, 2012–13, water-based paint, wood, 30 1/4 x 18 3/4 x 1 5/8". 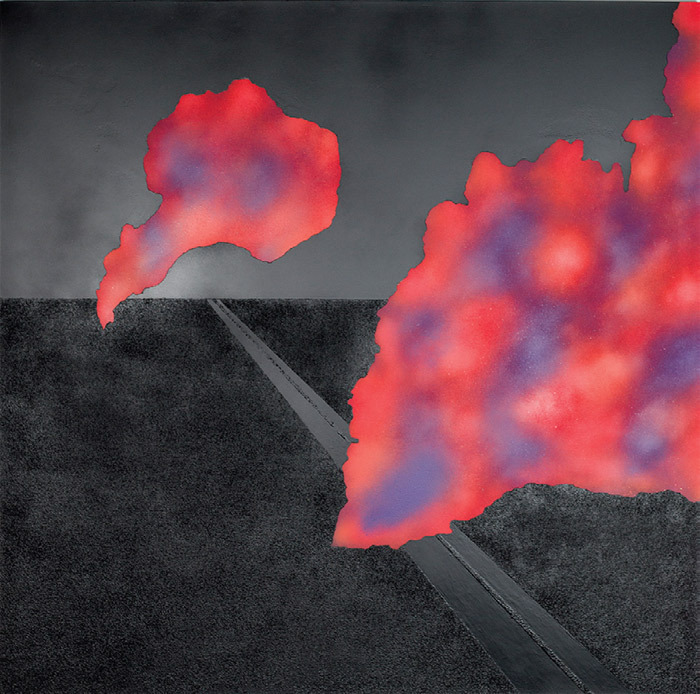 Robert Bordo, DWI, 2012, oil on canvas, 45 x 55". 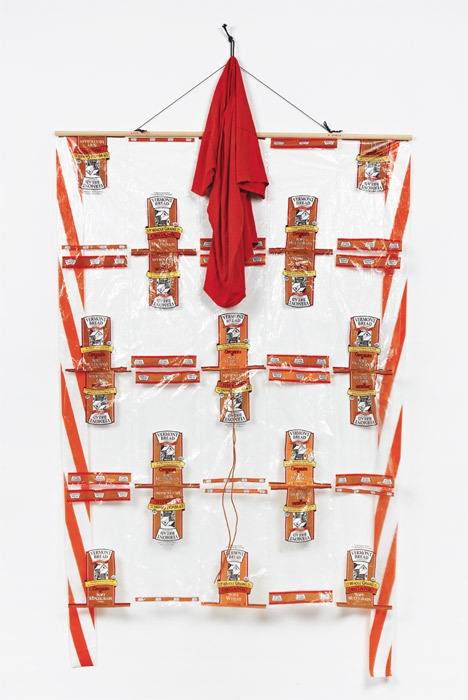 B. Wurtz, Untitled (bread quilt), 2012, plastic bread bags, wood, string, thread, T-shirt, shoelace, caution tape, 80 x 45". 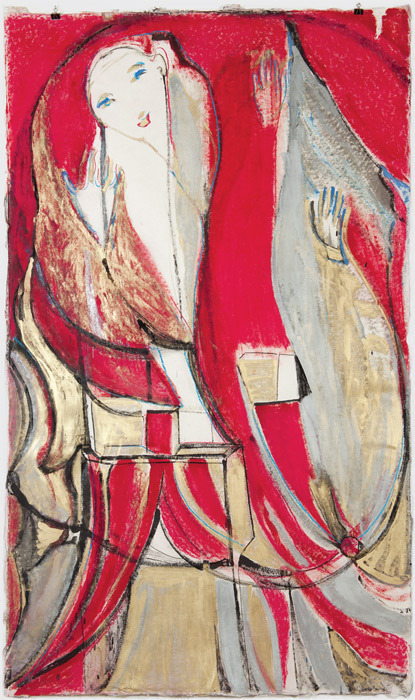 Birgit Jürgenssen, Untitled, 1980, pencil, colored pencil, and oil crayon on paper, 15 1/2 x 20 1/2". 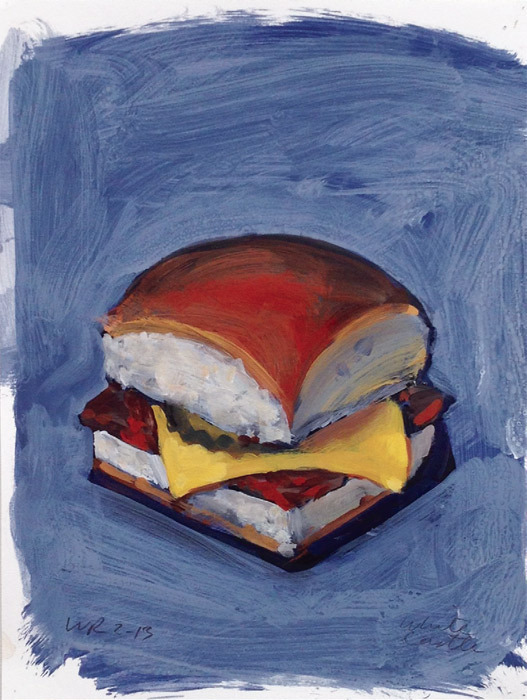 Walter Robinson, White Castle, 2013, acrylic on paper, 9 x 12". 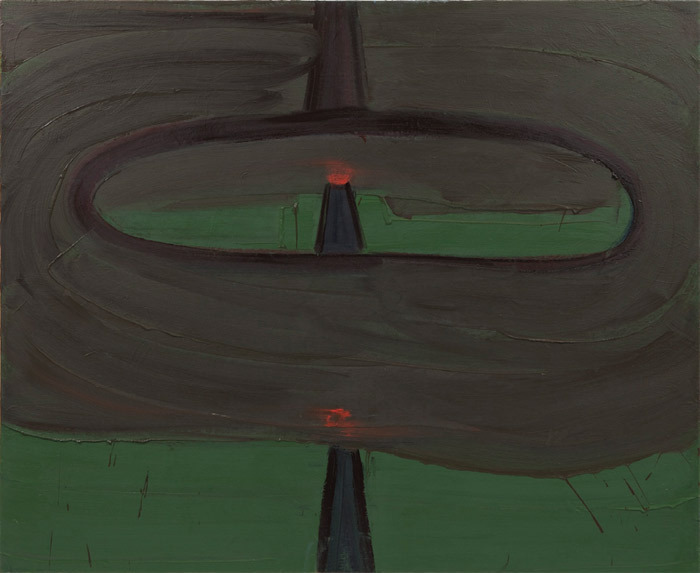 View of “Richard Nonas,” 2013. 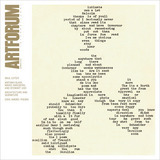 Rico Gatson, Watts Painting #1, 2011, 48 1/2 x 49". 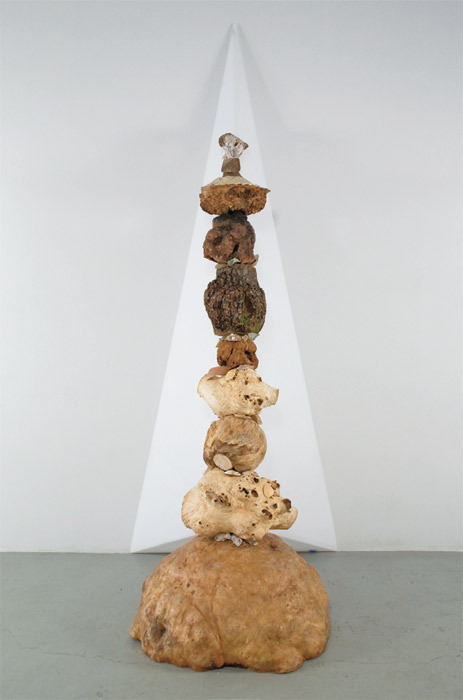 Larry Bamburg, BurlsHoovesandShells on an Acrylic Rake, 2013, wood burls, animal hooves, turtle shells, mollusk shells, acrylic, 105 x 42 x 40 1/2". 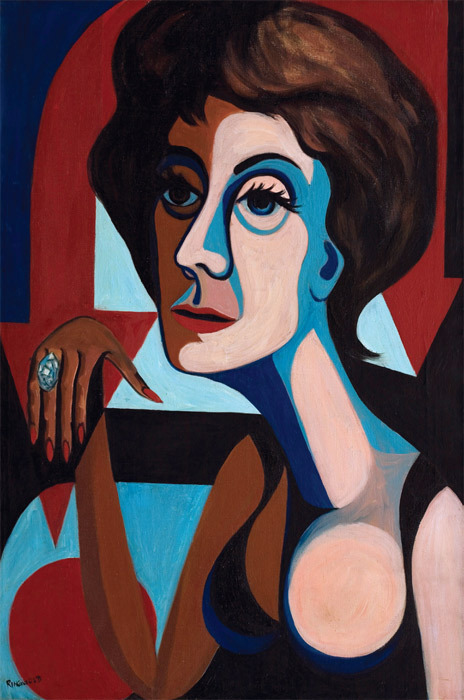 Faith Ringgold, American People Series #9: The American Dream, 1964, oil on canvas, 36 x 24".